A while back I spent some quality time with the Ubiquity system reviewing a number of games including Leagues of Adventure one of my favorites. 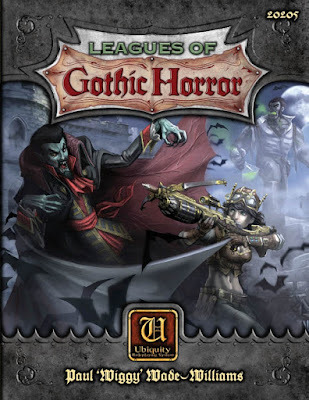 Today I want to have a look at Leagues of Gothic Horror, the gothic horror (naturally) supplement to Leagues of Adventure. 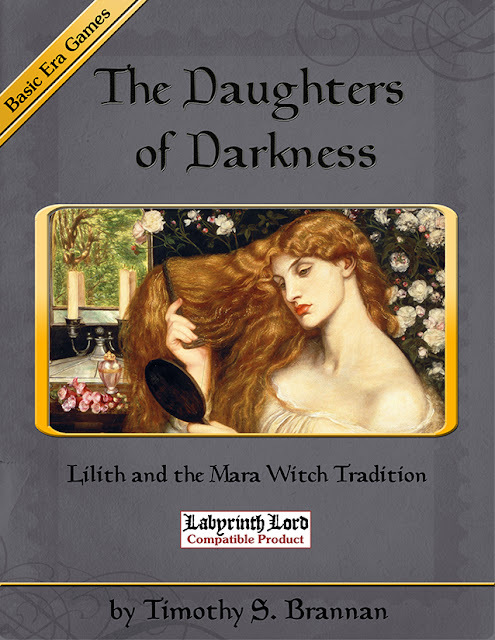 Chapter 1 covers new Archetypes for the LoA game. These include some of my favorites of gothic and Victorian lore such as the mystic, the mentalist and an old favorite, the alienist. There is even a subsection on how to play Ghost characters! If I didn't love this book so much I might feel threatened that it was encroaching on Ghosts of Albion's territory! There are also new talents, skills, and flaws for your character. These are of course designed with LoA in mind so no idea how they might overlap with say, Hollow Earth (HEX) or other Ubiquity games. There are also new Leagues. These are usable in any game. In particular, I was thinking of Victorious the whole time. Chapter 2 details horror and sanity mechanics. Again this is expected. The sanity system is mostly relegated to phobias. This is fine for me since this game deals more with heroic actions of daring-do. This chapter also deals with more magic including black magic, pagan magic, ceremonial magic and ritual magic. There is a great sidebar here on various Solar and Lunar eclipses during the late Victorian era. Really handy to have. The large section of magical texts, their translations and uses is also really great. Not just to use, but to read. Many are based on real-world books too. Along with that are new magics and magical/occult artifacts. Chapter 3 is another great addition with new monsters. 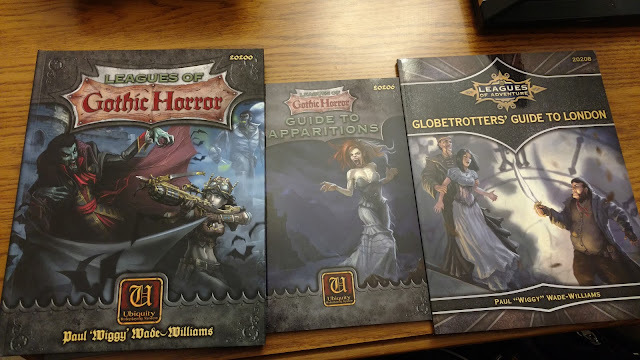 All the usual suspects are here; vampires, golems, werewolves, demons, even evil witches and a couple of different types of necromancers. We get a section on major villains too, Dracula, Count Orlock, Brain in a Jar, Lord Ruthven, Varney the Vampire, even Rasputin. Pretty much any Gothic-age or Victorian-age bad guy is here. Like the leagues presented in Chapter 1 there are some new sinister cults. Chapter 4 takes us on tour to the Dark Places of the world. Great addition to LoA. Reminds me a bit of the old AD&D Gazetteer to Gothic Earth. Specific locales are given and more generic ones for use anywhere in the world. Chapter 5 covers advice for the gamemaster and Chapter 6 has ideas for running games using this book. There is a great "Gothic History" timeline and list of "Who's Who" in the real world. The last page has a nice list of references of Gothic literature, audio, movies and television. I'll admit I had fun trying to guess the references from the material in the book. I did pretty well if I say so myself. 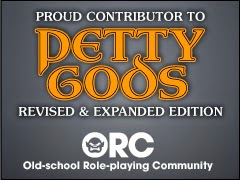 This is going to be a lot of fun when Leagues of Cthulhu is released. I missed out on the Kickstarter for this. 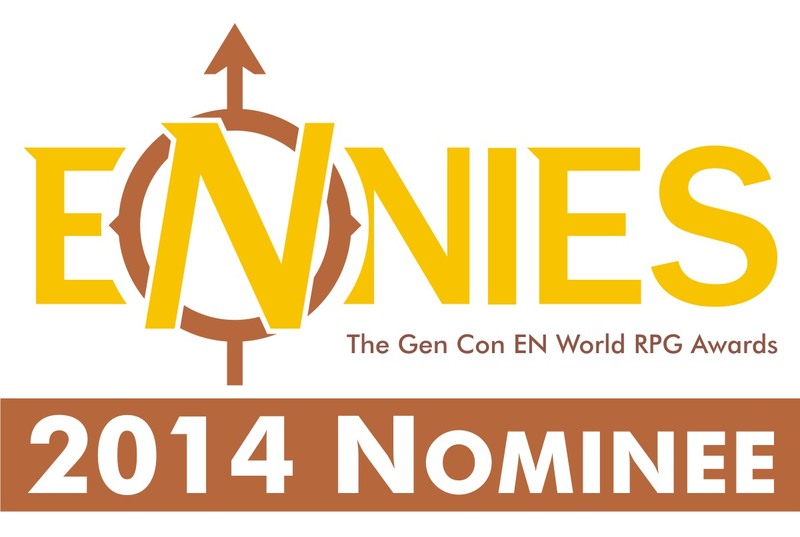 I'm excited that the pdf is included if you back Leagues of Cthulhu. Have you run the ubiquity system and if so, do you like it? 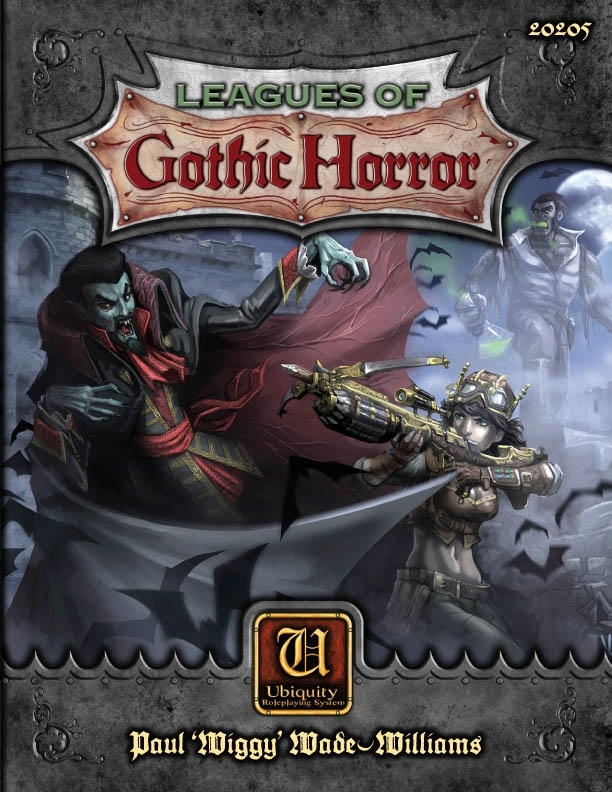 Does Leagues of Gothic Horror require Leagues of Adventure? The answer is "sort of." You can use LOGH with most any Ubiquity setting with minimal effort. Right now you can get LOA and LOGH in pdf format for free by backing Leagues of Cthulhu.